The Sony MKS-2700 is a device controller for Sony production switchers. The module takes 1RU in any standard 19" racking system and can be fitted with optional boards indicated through its series of tally lights. Control through both RS-422A and RS-45. 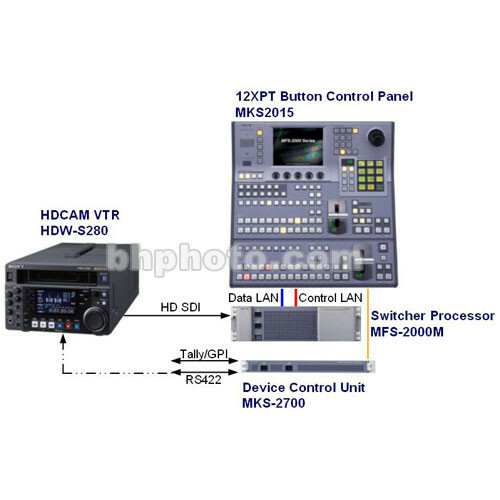 This specific model is compatible with the MVS8000A, DVS9000 and MFS2000 switchers.